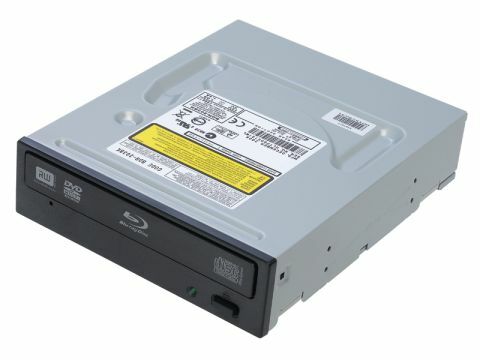 Ten years ago, I purchased a DVD-playing, CD-writing combo drive for £200. It was rubbish. It took years to burn a CD that would play about four times before skipping more than a schoolgirl boxer, and it would only play about one in ten of the DVDs I owned. Now, I'm presented with much the same thing, only this time it's a Blu-ray burner. Thing is, in the interim we've encountered a little something called convergence. With 250GB portable hard drives, costing less than a third of the price, and having ﬁve times the amount of storage, it does seem that Blu-ray burners are a dying breed. Pioneer's effort will write 19GB of ﬁles to a two-speed rewritable Blu-Ray disc in a mere two and a half hours, which gives you something to do between watching paint dry and waiting for Godot. A writable Blu-ray disc fared better, cutting that down to 12 minutes, which is rather impressive. There are a couple of uses for Blu-ray discs; they're good for archiving ﬁles, and handy if you want to burn hi-def videos to show on Blu-ray players. But, in the latter case, most Blu-ray players (ie. PS3s) accept a USB, so you can easily connect your cheapo USB hard disks crammed full of hi-def lovin'. If you're sure you need a Blu-ray burner, then the BDR-203 is the best, and cheapest option. It's just a shame that there's a sense that the tech is already obsolete.